HomeArticlesThe Descenders: Why Are So Many Jews Leaving Israel? The American Jewish scene is dominated by elderly professional leaders who were never elected by anyone. Those who are interested in the history of the Crusades ask themselves: what brought about the Crusaders’ downfall? Looking at the remnants of their proud fortresses all over the country, we wonder. The traditional answer is: their defeat in the battle of the Horns of Hattin, twin hills near the Lake of Galilee, in 1187, by the great Muslim Sultan Salah ad-Din (Saladin). However, the Crusader state lived on in Palestine and the surroundings for another hundred years. The most authoritative historian of the Crusades, the late Steven Runciman, gave a completely different answer: the Crusader kingdom collapsed because too many Crusaders returned to their ancestral homelands, while too few came to join the Crusaders. In the end, the last remnants were thrown into the sea (literally). There are vast differences between the Crusader state that existed in this country for two hundred years and the present State of Israel, but there are also some striking similarities. That’s why their history always attracted me. Lately I was reminded of Runciman’s conclusion because of the sudden interest of our media in the phenomenon of emigration. Some comments bordered on hysteria. The reasons for this are two. First, a TV network reported on Israeli descenders abroad, second, the award of the Nobel chemistry prize to two ex-Israelis. Both caused much hand-wringing. “Descenders” (Yordim) is the Hebrew term for emigrants. People coming to live in Israel are called “ascenders” (Olim), a term akin to pilgrims. Probably the word has something to do with the fact that Jerusalem is located on a hill surrounded on all sides by valleys, so that you have to “go up” to reach it. But of course there is an ideological Zionist connotation to the terms. Before the founding of our state and during its first few decades, we saw ourselves as a heroic society, struggling against great odds, fighting several wars. People leaving us were looked upon as deserters, like soldiers running away from their unit during a battle. Yitzhak Rabin called them ‘trash”. What made the TV story so frightening was that it showed ordinary middle-class young Israeli families settling for good in Berlin, London and New Jersey. Some of their children were already speaking foreign languages, abandoning Hebrew. Terrible. Until lately, “descending” was mostly attributed to misfits, lower-class people and others who could not find their place in ordinary society. But here were normal, well-educated young couples, Israeli-born, speaking good Hebrew. Their general complaint – sounding rather like an apology – was that they could not “end the month” in Israel, that their middle-class salaries did not suffice for a decent living, because salaries are too low and prices too high. They singled out the prices of apartments. The price of an apartment in Tel Aviv is equivalent to 120 months’ average middle class income. However, sober research showed that emigration has actually decreased during the last few years. Polls show that the majority of Israelis, including even a majority of Arab citizens, are satisfied with their economic situation – more than in most European nations. The second reason for hysteria was the award of the Nobel Prize to two American Chemistry professors who were educated in Israel, one of them born in a Kibbutz. Israel is immensely proud of its Nobel laureates. Relative to the size of the country, their number is indeed extraordinary. Many Jews are deeply convinced that the Jewish intellect is superior to that of any other people. Theories about this abound. One of them is that in medieval times, European intellectuals were mostly celibate monks who did not bequeath their genes to any offspring. In Jewish communities, the opposite happened: the rich were proud to marry their daughters to especially gifted Torah scholars, allowing their genes to start life in privileged circumstances. Yet here were these two scholars who left Israel decades ago to graze in foreign meadows, continuing their research in prestigious American universities. In former years, they would have been called traitors. Now they only cause profound soul-searching. One of the two had left Israel because the highly-regarded Weizmann Institute did not offer him a professorship. Why did we let him go? What about all the others? Actually, this is not a specifically Israeli problem. Brain-flight is taking place all over the world. An ambitious scientist longs for the best of laboratories, the most prestigious university. Young minds from all over the world flock to the US. Israelis are no exception. We have good universities. Three of them figure somewhere on the list of the world’s hundred best. But who can resist the temptations of Harvard or MIT? The sudden disillusion caused Israelis to take a hard look at Israeli academia. It appears that our standards are slipping all along the line. Our universities are under-funded by the government, the number of professors and their quality decreasing. High-school students are slipping in their exams. Immense funds are swallowed by the army, whose demands grow from year to year, though our security situation is improving all the time. Our eternal occupation of the Palestinian territories is a drain on our meager resources. So are the settlements, of course. Our government invests in them huge sums of money. The exact amounts are a state secret. In the long run, a small country with limited resources cannot sustain a huge army, as well as an occupation regime and hundreds of settlements, without depriving everything else. One single fighter plane costs more than a school or a hospital or a laboratory. But my worry about emigration is not limited to material considerations. People do not leave for material reasons only. They may think that they are emigrating because life in Berlin is cheaper than in Tel Aviv, apartments easier to find, salaries higher. But it is not only the strength of the attraction of foreign lands that counts – it is also the strength or weakness of the bond to the homeland. In the years when “descenders” were considered trash, we were proud of being Israeli. During the fifties and sixties, whenever I presented my Israeli passport at any border control, I felt good. Israel was viewed with admiration throughout the world, not least by our enemies. I believe that it is a basic human right to be proud of one’s society, one’s country. People belong to nations. Even in today’s global village, most people need the sense of belonging to a certain place, a certain people. No one wants to be ashamed of them. Today, when presenting his passport, an Israeli feels no such pride. He may feel a sense of contrariness (“us against the whole world”), but he or she is conscious of his country being considered by many as an apartheid state, oppressing another people. Every person abroad has seen countless photos of heavily armed Israel soldiers confronting Palestinian women and children. Nothing to be proud of. This is not a subject anyone ever speaks of. But it is there. And it is bound to get worse. Jewish Israelis are already a minority in the country ruled by Israel, from the Mediterranean to the Jordan. The majority of subjects deprived of all rights is growing by the year. Oppression will necessarily grow. The image of Israel throughout the world will get worse. Pride in Israel will fade. One effect is already becoming obvious. A prestigious recent poll conducted among American Jews shows a marked loosening of the attachment young Jews there feel for Israel. The American Jewish scene is dominated by elderly professional leaders who were never elected by anyone. They exert immense power over American political life, but their influence in their own community is slipping. 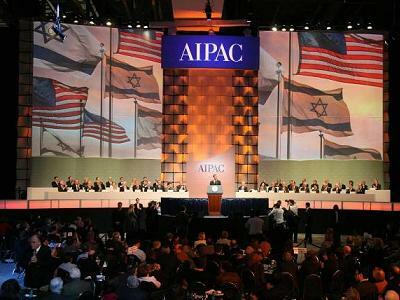 Young Jewish Americans are no longer proud of Israel. Some of them are ashamed. These young Jews do not, in general, stand up to protest. They are afraid of providing ammunition to the anti-Semites. They are also educated from childhood that we Jews must stand together against the Goyim who want to destroy us. So, instead of raising their voice, they keep quiet, leave their communities, disappear from sight. But this process can be utterly disastrous for Israel, Our leaders rely completely on the stranglehold they have on American politicians. If these perceive that the Jewish support of Israel is diminishing, they will be quick to liberate themselves. There is another aspect to the Zionist part of the equation. Zionism is supposed to bring Jews to Israel. That is what it is all about. But Zionism can be a two-way street. Israel declares itself to be “the State of the Jewish People”. Jews all over the world are considered de facto Israeli nationals. But if there is no basic difference between a Jew in Haifa and a Jew in Hamburg, why stay in Haifa when life in Hamburg seems to be so much better? I have campaigned for decades to exchange Zionist theology for a simple Israeli patriotism. Perhaps the time has finally come to do so – after turning Israel into a country we can be proud of again. A very fine informative article,and especially concerning the Crusades and the Battle of The Horns of Hattin,the comparison of modern Israel,and the fact that many crusaders simply went home during that time. Ethan Bronner wrote similarly in the NY Times at the time of the Gaza “disengagement” that the problem for Israel is that “Jews don’t want to live there”. It may be that Israel will “pass from the pages of time” in an entirely peaceful way, like South Africa and the Soviet Union. In which case, good. That will qualify as a happy ending to this 65 years of war and dispossession.